We can aim to rejoin the long term decline in the Euro here, and for the next 5 days, shorting gradually each day until we have a full position. Risk a rally to 1.0979 and aim for targets below $1. The 'Time at mode' signal in the 2-month timeframe points to a massive decline, so, be patient. Risk 1-3% between all positions, if the stop is hit at 1.0979. Looks to be breaking down. We can reduce the stop and add. Stop at 1.0685 is ok. Comment: Need to wait until next week to fade this pair's advance. @Trader_Dale, yes, better to hit that single print up there, or even higher, near the election high. Are you still short on this trade for the coming week all the way to the end of the week onwards? With the dxy moving back down Im getting less confident. @dizzybeez, I am, since it's a 2-month timeframe signal, the stop isn't hit. If it goes higher I'll triple the position. For now I wait, I think the long term outlook and the fundamentals are sound for now. @IvanLabrie, I see, im not in any trade with EU so I dont have the luxery that you have. Nice sitting on top. I am planning on entering UC long and currently on an AU short. Im nervous the dxy hits under support at 100.40-100.50 and it crumbles down. 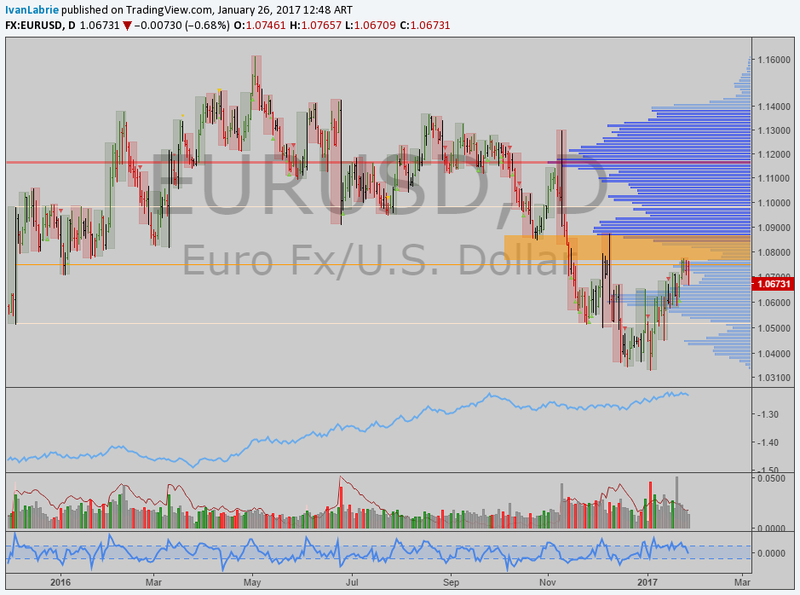 On the EU side, even if there is some weakness, 1.07-1.08 is a nice place to short. @dizzybeez, if $DXY breaks under 98.36 I'd change my mind.